ithlete Pro equips ithlete mobile app users with a more meaningful, actionable and guided experience. ithlete Pro is a web application that can be run from any major browser and syncs with the ithlete mobile app on their phone or tablet to upload all their ithlete data to the cloud. It can then be analysed in more detail to reveal greater insights than ever before possible with a personal HRV application. Furthermore, by subscribing to this cloud based service, users will be able to safely store and easily access all their historical and current data from multiple devices. ithlete Pro is ideal for the user who values the data garnered via the ithlete mobile app and wants to be able to extract greater insight from daily readings. 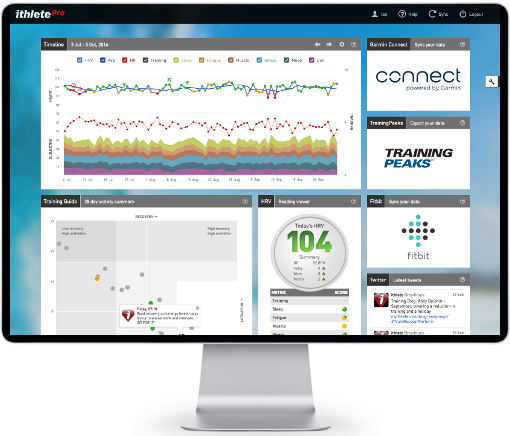 Features exclusive to ithlete Pro include: A fully configurable timeline chart for heart rate variability (HRV), resting heart rate, training load and subjective data, enabling better insight into which lifestyle factors impact performance and recovery most. We have recently updated the display to enhance understanding of the training + non-training stress on recovery and readiness. The new acute:chronic Training Load feature helps athletes manage increases and decreases to training safely and effectively. A Training Guide, providing a unique pictorial representation of the user’s energy and recovery states, together with individualised zones, allowing him or her to choose the most suitable training on that particular day. It also interprets each new reading and delivers advice in a straightforward single sentence. Alongside the Context Insight area reports more detail on days selected on the Training Guide and importantly highlights exceptions. So if your diet/sleep/muscle soreness/etc. is outside of your personal norm ithlete will alert you to this with colour coding. It couldn’t be easier to see what is the most likely cause of a high or low HRV reading! By interfacing with other products and software, such as Fitbit, Garmin, and TrainingPeaks, ithlete Pro users will be able to import training and sleep data, allowing even more convenient and precise feedback to the user. Users can also stay up-to-date with news, advice and tips with links to ithlete’s blog and Twitter feeds. ithlete Pro offers a consistent and recognisable experience across mobile and web apps ensuring it is fun and easy to use. It can also be viewed on mobile devices with HD screens. We have had some brilliant results using the ithlete data, especially in my specific lead up to worlds. I had an excellent race, best performance ever!!! Looking for a gift for a fitness fanatic? The ithlete app is perfect. With ithlete I can get fast and precise results of heart rate variability in a simple format that almost anyone can understand. 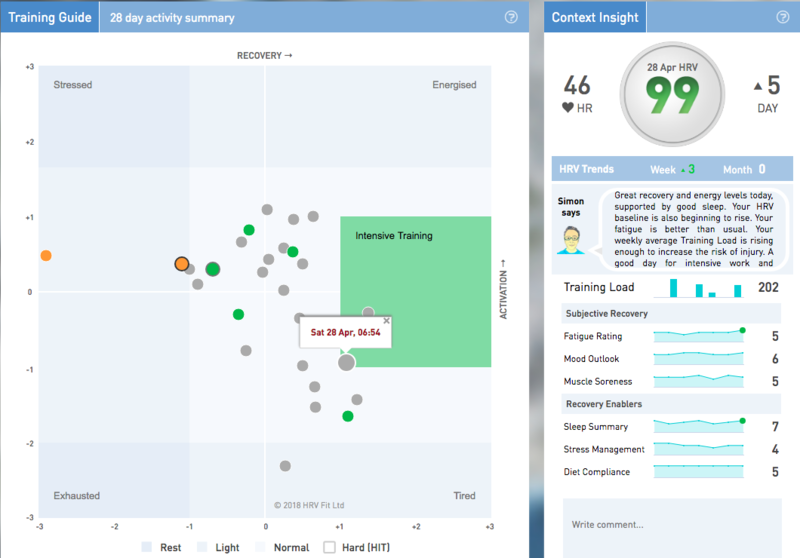 ithlete has become my daily diary and not just an HRV tool. Would strongly recommend to anyone wanting to keep an eye on their top-end fitness. Your app is so useful for me for planning my training days – result 2 weeks ago: 4th place Male 45-49 Ironman 70.3 World Championship in South Africa. Thank you. The overall accuracy of the ithlete Pro Timeline Chart is stunning. I have had in the past major issues with overtraining to exhaustion. With one simple reading in the morning, I have a very good indication of where I am at and how intensely should I train (or not) for the day. I tried many ‘gadgets”; this one works. I also liked that I got feedback from “Simon” and it was always correct. When my body was feeling tired or overexertion I got the right feedback.